State Representative Ryan Spain joined colleagues on both sides of the aisle, in both chambers, in voting YES on an FY 19 State Budget that is balanced and relies on “no new taxes”. The FY 19 State Budget fully funds the new bipartisan K-12 education funding formula to local schools, funds the MAP grant program as well as providing a four-year commitment for MAP recipients, creates a new merit-based scholarship program to keep students in Illinois, provides a 2% operations funding increase for universities and community colleges (including Illinois Central College and Illinois Valley Community College), includes funding for Medicaid Adult Dental Preventative Services and projects $445 million in budget savings through pension reform measures. 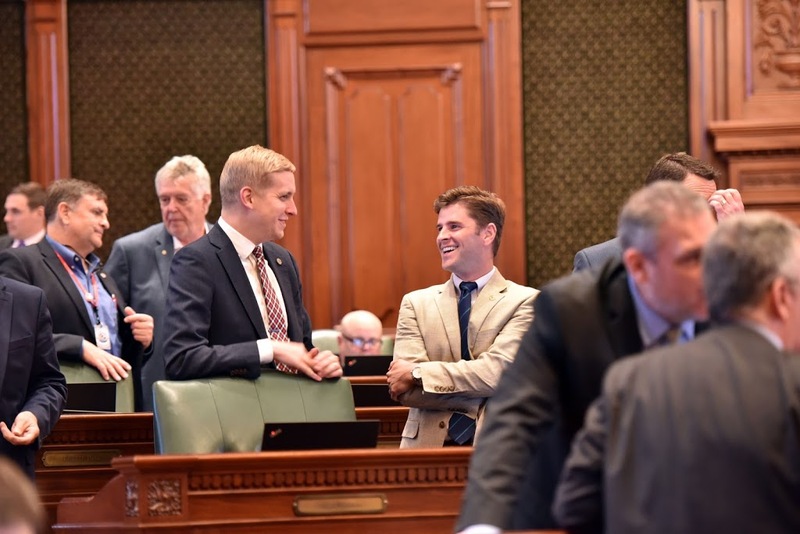 The State Budget and Budget Implementation Bills received strong, bipartisan rollcalls in the Illinois House and Senate and will now go to the Governor.